Express Logic announces seamless secure support and integration of the Microsoft Azure IoT software development kits (SDKs). The support complements the existing direct X-Ware IoT Platform support for Azure, adds Express Logic. 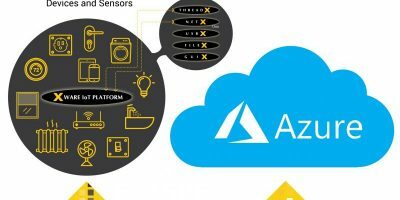 Express Logic’s X-Ware IoT platform provides another option for Azure IoT customers looking to develop devices and applications that connect to and are managed by Azure IoT Hub services. X-Ware IoT Platform was created in-house and designed to be industrial grade. This enables Azure developers using the X-Ware IoT platform to leverage its size, performance, safety, security, ease of use, and other advanced features to create IoT sensors, devices, edge routers, and gateways. 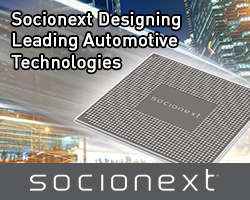 Express Logic’s high-performance ThreadX RTOS is at the heart of the X-Ware IoT platform. There are over 6.2 billion deployments, certified by VDC Research. ThreadX provides embedded developers with priority-based pre-emptive scheduling, preemption-threshold scheduling, optimised context switching, real-time event trace, downloadable memory-protected application modules, and full determinism, all accessible through a highly intuitive application programming interface (API). The X-Ware IoT platform leverages the near-wire-speed performance and small footprint of Express Logic’s NetX Duo to provide direct IoT cloud connectivity using message queue telemetry transport (MQTT) and NetX Secure TLS/DTLS to provide a fast and secure connection. X-Ware IoT platform is more than just an RTOS with some connectivity capabilities, continues Express Logic. It is built upon the powerful, safety-certified NetX Duo dual IPv4/IPv6 stack and includes the safety-certified FileX embedded FAT-32/exFAT file system, the GUIX GUI development and embedded runtime framework, and the USBX embedded host/device USB stack. 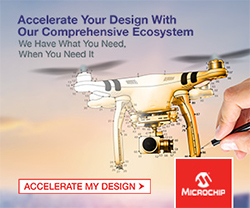 Embedded developers can leverage the entire X-Ware IoT Platform solution to create IoT applications that must do far more than simply communicate with the cloud, advises Express Logic. 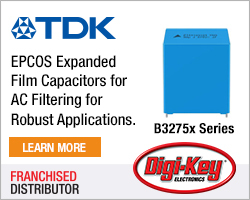 In addition to the performance and size advantages of the X-Ware IoT platform, Express Logic’s ThreadX FileX and NetX Duo have attained IEC 61508 SIL 4 (the highest, most dependable level as determined by IEC), IEC 62304 Class C, ISO 26262 ASIL D, EN 50128 SW-SIL 4, UL 60730-1 Annex H, CSA E60730-1 Annex H, IEC 60730-1 Annex H, IEC 60335-1 Annex R, and IEC 60335-1 Annex R, 1998 certifications. Headquartered in San Diego, California, USA, Express Logic offers run-time solutions for deeply embedded applications, including the ThreadX RTOS, the high-performance NetX and NetX Duo embedded TCP/IP stacks, the FileX embedded FAT-compatible file system, the USBX host/device embedded USB protocol stack, and the GUIX embedded graphical user interface (GUI) development toolkit. Most Express Logic products include full source code and are available free of run-time royalties.